I make sure the contract is in your best interests and see you through every step of the way. I give you access to ALL homes available in any town of interest...even listings not yet on the MLS. My expert local knowledge of the area will be invaluable to you, not just in terms of real estate, but also schools, neighborhoods, the local economy, and more. Every local real estate market absolutely has its own trends and opportunities. This can vary greatly, even one neighborhood to the next. The neighborhoods in Northern New Jersey are no different! It's my job to steer you into opportunities and out of traps. What is the true market value of the home you're interested in? Is it priced too high? Is it a bargain that you should jump on? I help home buyers make decisions like this every day, and I'll make sure that YOU get the best value for your money. Negotiating with sellers can be stressful and emotional. I'll help you negotiate so the final contract includes your best possible terms and conditions. You should know absolutely everything about the property you're buying! 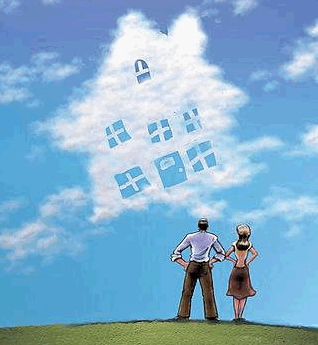 You and I will view every home that you're interested in, together. Prior to closing I'll make you fully aware of any and all inspections available to you. Have confidence when signing documents. Contracts are full of complicated terms and clauses that can greatly affect your future life in your new home. I'll give you the full benefit of my real estate knowledge and experience. Let me represent your best interests in your search for a new home. While you can see a million homes on the web, actually buying your home is another matter entirely. If you are relocating to New Jersey, you'll need extra guidance and I'm ready to provide it to you.